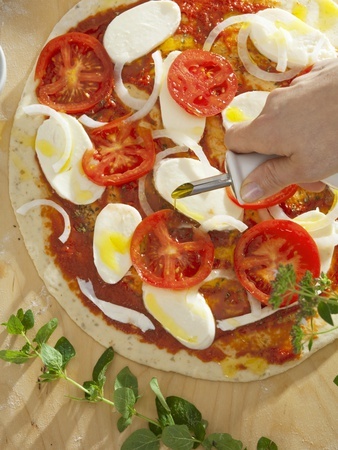 Looking for a delicious gluten free pizza is getting easier these days. Frozen and supermarket pizzas now offer gluten-free pies. And finding a pizza crust recipe that is gluten free isn't as hard as it used to be, either. In fact, gluten free products in general are becoming more and more common for those who suffer from a gluten allergy, intolerance or Celiac disease. If you need to go gluten free, but still love to enjoy a slice of delicious pizza now and then, don't fret. There are some great recipes for homemade gluten free crust. Or, try some of the tasty pizza crust mixes on the market today. Stonewall Kitchens makes a great gluten free crust mix. I am partial to this company because I used to live in York, Maine, their base of operations. It started out as just two guys who made gourmet items from their kitchen, and turned into a multimillion-dollar industry. And deservedly so—their products are of exceptional quality! Even frozen pizza brands as well as some pizza restaurants are getting in on the act and offering pizzas free of gluten. With millions of Americans suffering from Celiac disease or gluten intolerance, it's no surprise that several popular pizza chains have decided to add gluten free pizza to their menus. Pizza Hut, Dominos and Papa John's are the new kids on the block for gluten free products. And here are a few restaurants that have been offering gluten free pies for some time now (please note: not all locations may have the gluten free option, so call for availability).